Anyone in attendance at South Philadelphia High School this past weekend for the Philadelphia Public League Championships could see it clearly; this a league that’s on the rise. This years’ championships featured 136 athletes (the highest number in almost two decades) and the crop of talent is vastly improved. At these championships, the greatest excitement was at the 126lb. final between Reynaldo Garcia (MBA) and James Clacks (GW). It was a nail biting 9-8 UTB victory for Garcia that won him the outstanding wrestler of the tournament. These two wrestlers absolutely put on a show and deservedly received a standing ovation from everyone in the audience. 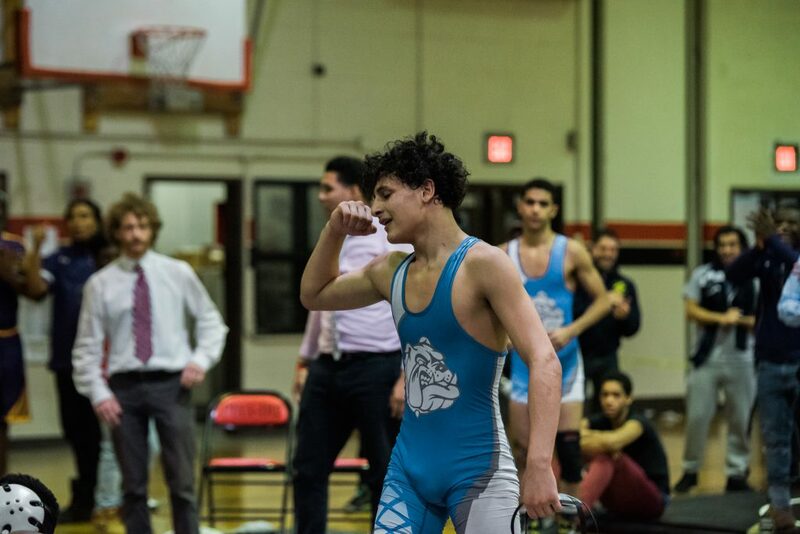 Other notable champions included John Santiago (MBA), Daishawn Tilghman (OVB), Michael Rubino (NE), and Sami Kakar (NE); each of whom improved from their 3rd place finishes in 2017 to 1st place finished this year. Wrestling is a tough sport; you get out what you put in. These four wrestlers put in the work necessary get better this season and it will be fun to watch them this coming weekend! The league not only celebrates athletic excellence, but outstanding service as well. Prior to the parade of champions, public league chairman Barry Strube took some time to recognize a few outstanding individuals. Larry Arata (GW) was awarded Coach of the Year title for making his athletes better wrestlers and better people. Christopher Mullins (FKD) received the Bud Lindholm award for his service and dedication to improving wrestling in Philadelphia. And finally, an emotional Stephen Lebron (PLB) accepted the Larry Imgrund Award. A senior at 145lbs, Stephen is an extremely deserving recipient of this recognition. 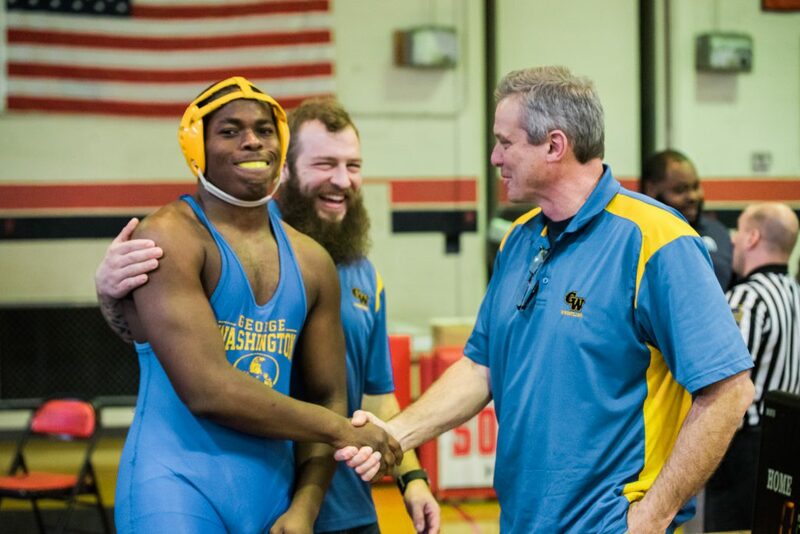 On the mat, Stephen is likely to graduate at the most decorated wrestler in Palumbo history. 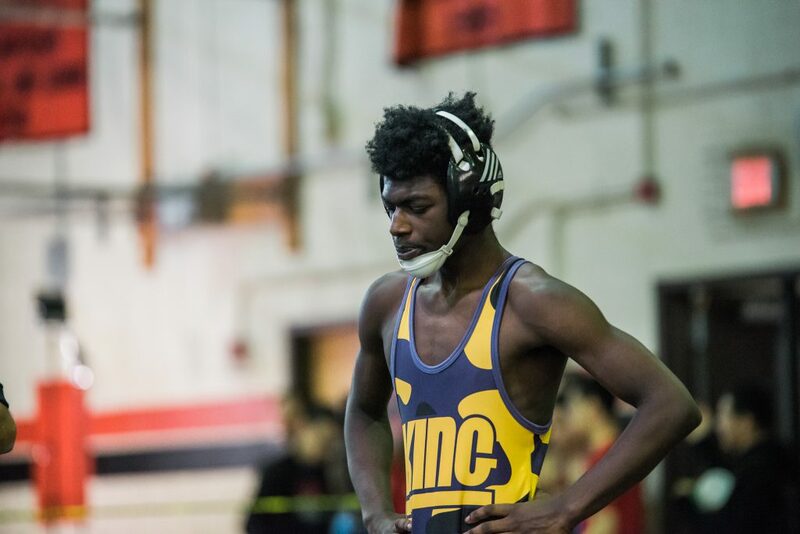 He is a 4x sectional place winner and 3x district place winner (2x finalist). His coaches tell us he is a clear leader to his teammates and someone underclassmen can look to for guidance. Off the mat, he is even more impressive. Stephen’s cross-country coach reached out last week to tell us about how Stephen helped a teammate with severe autism complete a cross-country course and compete in an event this past fall. His coach tells us that without Stephens’ help, the student he helped would’ve been unable to participate. This is just one of the many magnificent examples of the type of person Stephen is. After humbly accepting the award, Stephen went on to take home the title at 145lbs! Congratulations to all those who competed this past weekend and thank you to everyone who helped to make it happen! This coming Saturday, the District XII Championships will take place at Archbishop Ryan High School. To follow the action online or to view bracket information, click here. 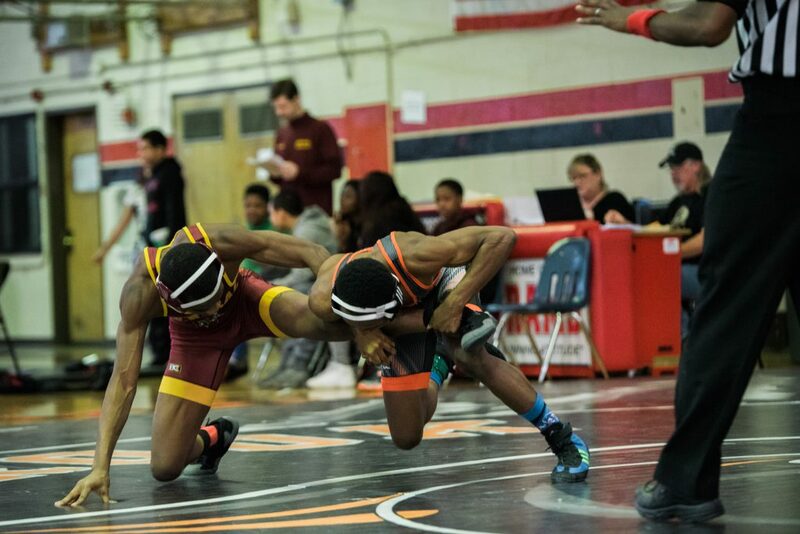 More photos from the Public League Championships can be found here.